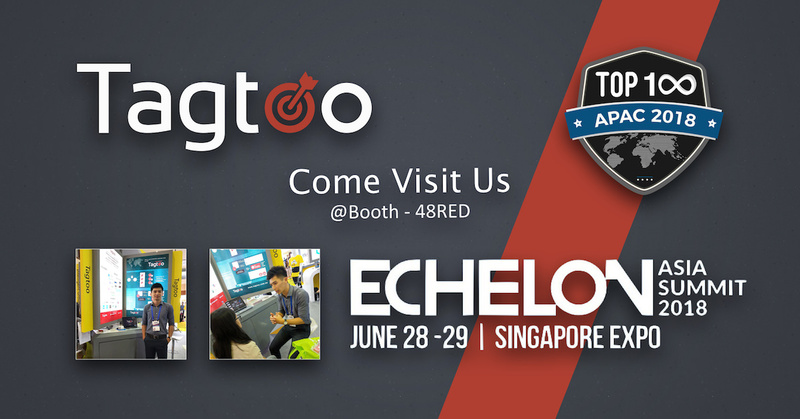 Hi folks, we are extremely thrilled to announce that Tagtoo is featured among the Top 100 Asia Startup in Echelon Asia Summit. It comes with no ease but indeed shows our team’s incredible strength and resilience toward the challenges we’ve overcome in the past. Well appreciated your trust and choice. In fact, there’s a huge gap in terms of digital marketing knowledge in Southeast Asia. Top and big internet businesses have built relatively competitive digital advertising teams and are well-equipped with the latest digital marketing skills while small and medium enterprises just start their online presence and have the limited understanding of digital advertising. Most of the advertising agencies in Southeast Asia offer a wide variety of, but superficial, solutions, meaning business can enjoy delivering ads on all existing channels but the package offered actually favors agencies and is not flexibly customizable. For example, performance is unstable and often is not guaranteed. Not transparent advertising reports, i.e. Google Analytics, provided is commonly encountered as well. Most importantly, high entry barrier of using Dynamic Product Ads (DPA) and incomplete support from agencies make it even harder for advertisers, especially SMEs, to embrace the real power of digital advertising. We strongly believe Southeast Asian e-commerce should be served with better services and products. SMEs should likewise have the equal right to experience the unprecedented convenience brought by digital advertising. That’s why we launch “Tagtoo DPA Platform”, which is a one-stop solution for DPA on Google, Facebook, and Instagram, to help transform SMEs e-commerce. Echelon Asia Summit 2018 will be held at the Singapore Expo from the 28th to the 29th June. Our booth will be located in 48 RED. Come to join us and ask any question you may have with digital advertising and e-commerce. We are more than happy to help. We are also going to give out some vouchers for anyone coming to support us. Don’t miss out the precious opportunity! We never compromise our principles providing the best service for our clients. Our priority is to maximize your budget and earns the highest ROAS. We make the impossible probable. We make the probable achievable. We hack it until we make it. We are TAGTOO.